St. John’s is an Episcopal Church founded in 1745 by Samuel Seabury, who later became the first Bishop of the Episcopal Church. 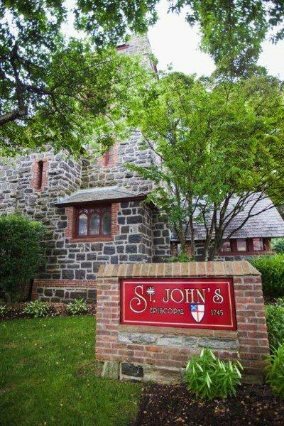 St. John’s is part of the Diocese of Long Island and the Episcopal Church, USA and of the worldwide Anglican Communion whose historical and spiritual root is traced to the See of Canterbury in the Church of England. Since its foundation, St. John’s has been an integral part of Huntington Village and its history and continues to serve the community with various outreach services and activities. Welcoming and serving others is central to our faith and community life. So, come and be part of this amazing community.